Buy SIM 800L GSM module online in India at low cost. Sim800l Module is low cost, low form factor GSM module based on Simcoms SIM800L chipset. 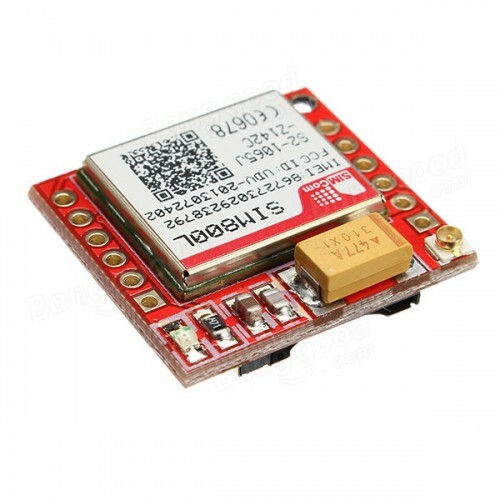 Sim800L module supports quad-band GSM and GPRS network. 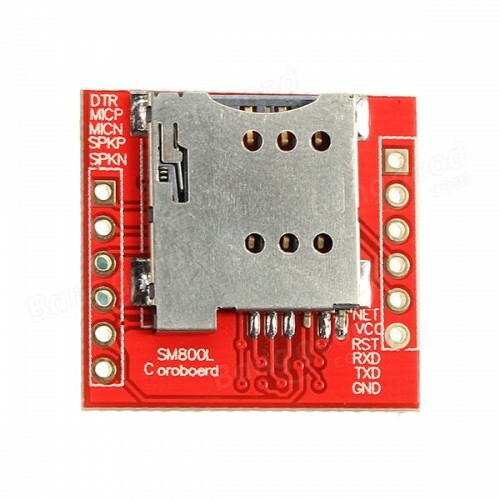 The main drawback of this module is works on 3.7 to 4.2 volts so you cannot power it directly through Arduino or Raspberry Pi. Moreover the sim800l GSM and GPRS module requires upto 2 ampere current so accordingly design your power supply. You can use a 3.7 volt lipo battery to directly power the GSM module. You can communicate with SIM800l module via UART port, supports command including 3GPP TS 27.007, 27.005 and SIM COM enhanced AT Commands. Quad-band 850/900/1800/1900MHz - connect onto any global GSM network with any 2G SIM (in the USA, T-Mobile is suggested). 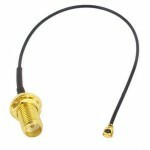 Make and receive voice calls using a headset or an external 8Ω speaker and electret microphone. Lead out buzzer and vibration motor control port. AT command interface with "auto baud" detection. Onboard IPEX socket that can be connected to external antenna. UFL to SMA ConverterThis is a UFL to SMA or SMA to UFL converter cable. Perfect for connecting ..